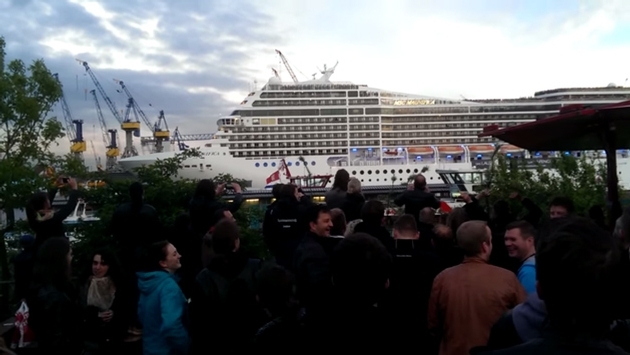 One of the biggest annual celebrations in Germany, the Hamburg Port Anniversary, always attracts more than a million people who gather to party and watch cruise ships arrive in the harbor up-close. But this year’s festival — celebrating 825 years! — was made more special by the MSC Magnifica, which played the song “Seven Nation Army” on its horns as it sailed around the harbor, much to the delight of the spectators. 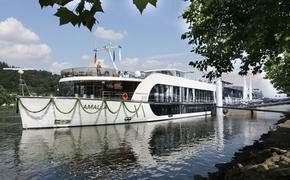 The MSC Magnifica has a special relationship with Hamburg, as it was christened there in 2010. The song “Seven Nation Army” was recorded by The White Stripes in 2003 and now is often played as a celebratory response to goals in European soccer stadiums as well as professional sporting events in the U.S. The Hamburg Port Anniversary festival was held May 9-11, 2014.